The cave where the fossils which may belong to a new hominin species were found. Credit: CALLAO CAVE ARCHAEOLOGY PROJECT. In a cave on a small island in the Philippines, scientists have found evidence of a new species of humans that lived at least 50,000 years ago. They called it Homo luzonensis, after the island of Luzon where the remains were found. These hominins were very short in stature, comparable to Homo floresiensis, nicknamed “hobbits”, which lived on the nearby Indonesian island called Flores. If the species is confirmed by DNA analysis, the findings will not only enrich the human family tree but also complicate the story of human migration and evolution in Asia. The fossils from the island of Luzon were excavated during three expeditions in 2007, 2011, and 2015. 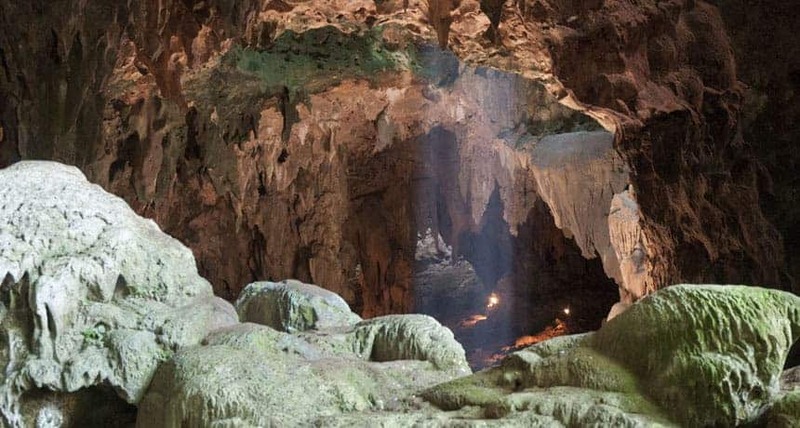 Inside the island’s Callao cave, researchers found seven teeth (five from the same individual), two finger bones, two toe bones, and an upper leg bone. All were dated as being at least 50,000 years old by radiocarbon decay analysis. These fossils were found alongside those of butchered animals, suggesting that the cave’s inhabitants were at least sophisticated enough to devise cutting tools and rafts to reach the island from the mainland. Individually, the bones are very similar to other Homo species in terms of shape and size. However, taken together, they reveal a combination of features that no other hominin shared. Homo luzonensis‘ molars were very small, even smaller than the hobbits. The premolars were relatively large, however, and had up to three roots rather than one — a feature shared by Homo erectus. 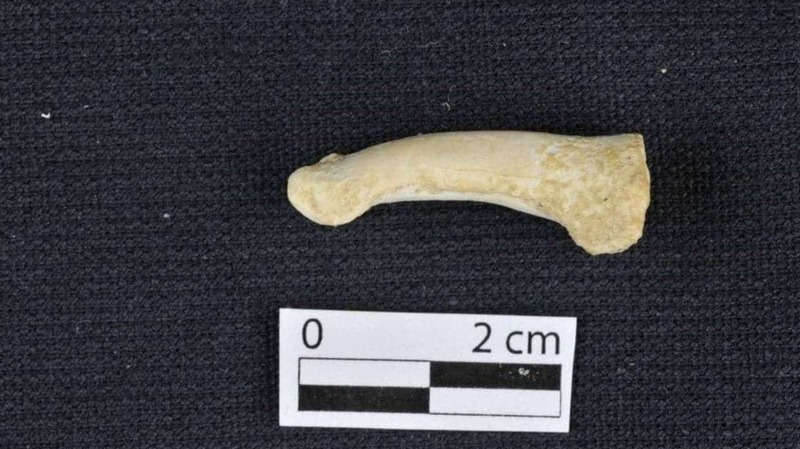 The finger and toe bones were curved, suggesting tree-climbing ability that is more reminiscent of hominids living two million years ago in Africa. Five fossil teeth from the same individual have unusual features that helped researchers determine that they might be dealing with a new species of human. Credit: CALLAO CAVE ARCHAEOLOGY PROJECT. These findings suggest that the landscape occupied by our species was once quite crowded. We now know that Homo sapiens were contemporaries not only with their famous cousins, the Neanderthals, but also with Homo floresiensis, the Denisovans (a species that lived around a cave in the Altai Mountains of western Siberia), and now this fifth species, Homo luzonensis. This dramatically complicates the story of human migration into Asia suggesting that several human lineages had already occupied East Asia by the time the first modern humans reached China as early as 80,000 years ago. A Homo luzonensis toe bone, showing the longitudinal curve. Credit: CALLAO CAVE ARCHAEOLOGY PROJECT. Homo luzonensis was typically around 30 to 50 kilograms, stood 1 to 1.5 meters tall, and had brains around one-third the size of our own. Just like the hobbits on Flores, Homo luzonensis may be descendants of Homo erectus populations that crossed the sea from mainland Asia to Luzon. The small body and unusual skeletal traits may have been adaptations pressured by island dwarfing — a process whereby some creatures confined to isolated habitats such as islands are known to have become smaller over time due to limited resources and ecology. 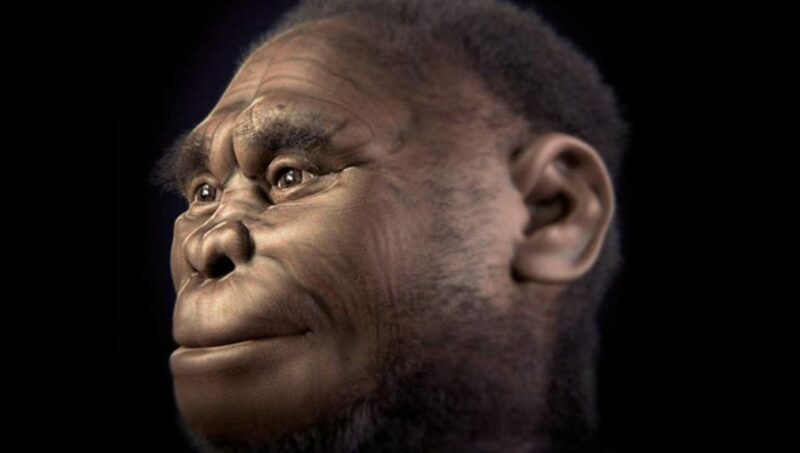 Digital reconstruction of homo floresiensis, nicknamed ‘the hobbit’. Credit: Wikimedia Commons. It’s not clear yet if we’re dealing with a new species at all. The team of researchers, led by Florent Détroit of the Musée de l’Homme in Paris, was unable to extract DNA from the fossils. Until a proper DNA analysis confirms the distinct lineage, Homo luzonensis’ inclusion in the human family tree remains questionable. For instance, the fossils might belong to hybrids — the products of interbreeding between two or more earlier Homo species. Or perhaps Homo erectus populations that arrived at Luzon simply acquired some traits that made them more adapted to their environment, rather than speciating. The findings are still incredibly exciting, nevertheless. It’s amazing to hear that our species lived at the same time as four other human lineages and perhaps interacted with them. What a sight that must have been to behold.